Boost your 1999-2004 Lightning performance using offroad exhaust from Pacesetter with this mid pipe! Bolt on more power and sound for your 1999-2004 Ford SVT Lightning with this Pacesetter off road Y-pipe! 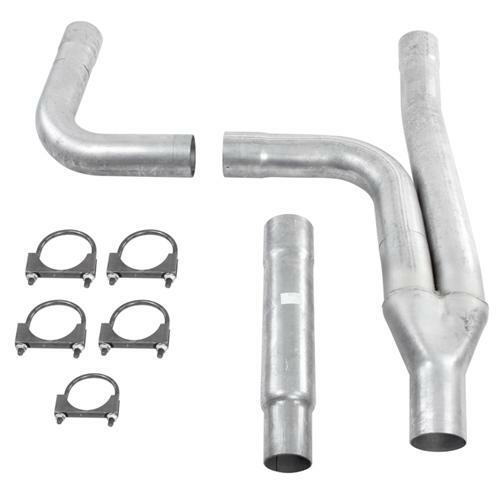 This Y-pipe is designed specifically for use with Pacesetter long tube headers. There's no cutting or welding needed for this direct bolt on piece! Constructed with 3" diameter, 16 gauge aluminized tubing, this mid pipe is built to last! Will only work for Pacesetter headers PAC-702226 & PAC-72C2226.